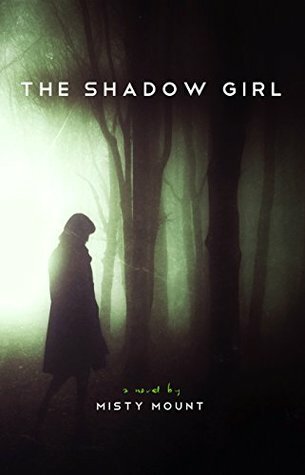 “The Shadow Girl” is a young adult novel that will definitely appeal to many young people. However, I think anyone, of any age, who has ever felt unnoticed or ignored, would also enjoy this novel. Thirteen year old, Zylia Moss is a very introverted young girl who feels like she’s living in the shadows, invisible to almost everyone. She’s very shy and avoids social situations as she worries that she’ll do or say something to embarrass herself. Plus she feels like no one will notice her anyway. But then Zylia learns about a family mystery, the disappearance of her Great Aunt, Angelica who vanished when she was Zylia’s age. Could finding out what happened to her Great Aunt all those years before unlock the secret to what is happening to Zylia? Or will she slip into the shadows for good? I thought this was a really unique, thought-provoking, and interesting read. Right from the start I loved Zylia. She is a compassionate and kindhearted girl. But you can also feel how lonely she is… how isolated. The story was easy to read and flowed nicely. I was quite invested in Zylia’s story. She’s a character I can relate to and I know many others will as well. I was anxious to see how things would turn out for her, and couldn’t help but cheer her on. All of the characters were well written. The interactions between friends, siblings and other family members were very realistic, as well as entertaining. “The Shadow Girl” is a wonderful coming of age story that deals with important issues like loneliness, self-esteem, friendship, bravery, and more. These issues are written with sensitivity in a way that’s easy to understand. This was a great story with many lighthearted moments that made me smile. I’m really looking forward to reading more from this author. Thank you to Misty Mount for the opportunity to read this book in exchange for my honest review. You know I’m not big on YA, but I LIKE the sound of this. Thanks!